Congratulations on your engagement! As you’re about to find out, planning a wedding is a lot of work. Even small celebrations require advanced planning, a well-set budget, and organized details. But before you choose the centerpieces, before you try on a dress, before you pick the accent colors—there are nine steps you can take during your engagement to set yourself up for success. It’s time to celebrate! 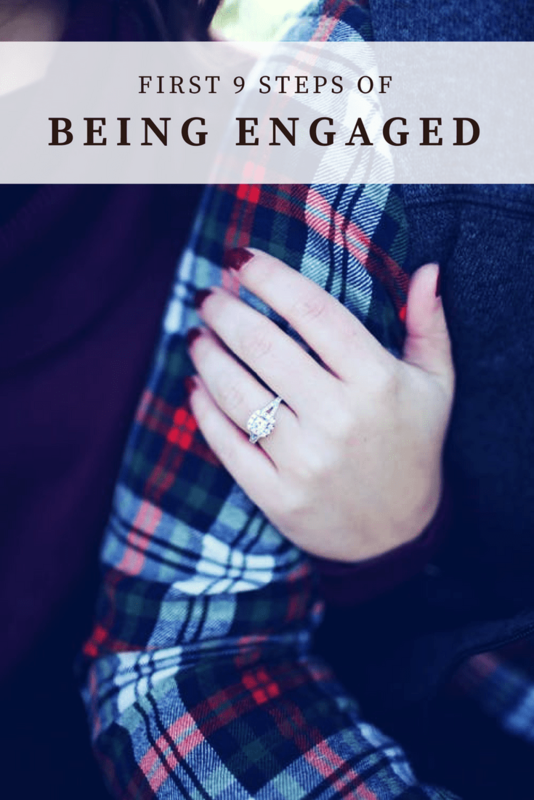 Being engaged is an exciting milestone in your relationship, and it shouldn’t be taken for granted or forgotten. While, yes, engagements are typically short and often fly by in the midst of wedding planning, it’s important to enjoy time with your fiancé. Celebrate the reasons why you love them, and just be happy. Once the news is out, the craziness begins! Call or text your parents; don’t let them find out on Facebook that you’re engaged. The same goes for close friends—this is an important moment in your life, and you want to share it with the people you care about. It’ll be much more rewarding to tell them yourself and hear their reactions. If you don’t already have a fresh journal, grab one! It can be whatever size or style fits you best, but it’s going to be your best friend during the planning. Keep all your notes and important papers in one spot, so it will be easy to reference down the road. Plus, a journal is transportable, so it can come with you to the cake tastings and the dress fittings—I told you it would be your best friend! Bonus Tip: Section off the first or last few pages for important names, numbers, or emails so you’re not scrounging for the florist’s business card you know you grabbed when you met her last week. Do you want a formal wedding, or a casual, laid-back event? How you answer that question will help you narrow down your options for everything from florists to entertainment. If you want a laid-back afternoon wedding, you can look for a venue with plenty of outdoor space, and a caterer who specializes in bite-sized hors d’oeuvres. For a more formal evening wedding, research a local jazz band and book a venue with a private deck. The tone of your wedding is, of course, up to you and your fiancé, but if you determine that early on, it will make future decisions easy. Here’s another fun part! Maybe not as fun as calling to tell Mom the big news, but now’s the time to celebrate with the rest of your friends and family. It’s too early in the game to send out Save the Dates, but you can share photos of the ring or proposal, call relatives who may not be on social media, and email away! Bonus Tip: Don’t feel obligated to reply to every comment or response to your engagement. If you emailed or called someone directly, they’ll expect a reply—but you don’t have to answer questions from the kid who stood behind you in line in the second grade. Read this carefully: Before you book or buy anything, sit down with your soon-to-be-spouse and set a budget. Know what you have available to spend—factoring in help from any parents—and prioritize wedding-related expenses so you know where to cut if need be. For example, consider fake flowers instead of real ones if you want a larger dress budget. Or make your own centerpieces to save money for the honeymoon. One simple talk now will save a lot of headache down the road. Okay, this one is obvious, but it’s also crucial for booking a venue (because you’re almost there!). Choose the date you want to exchange I Do and decide whether or not you’re open to that date changing—the venue you find might not be available on the date you want, and you’ll have to decide if the date or the venue is more important. There’s no wrong answer—it’s all about what’s best for you and your fiancé, but it’s a question worth answering before venue shopping. You don’t have to have a set number before venue shopping, but you should have a general idea, giving yourself a little wiggle room for plus ones and extended family who unexpectedly RSVP. That way, you know that the 50-capacity room isn’t going to work for your list of 200 guests—or the echoing event hall is much too large for your close-friends-and-family-only-wedding. 9. Start Looking at Venues! Now the legwork begins! 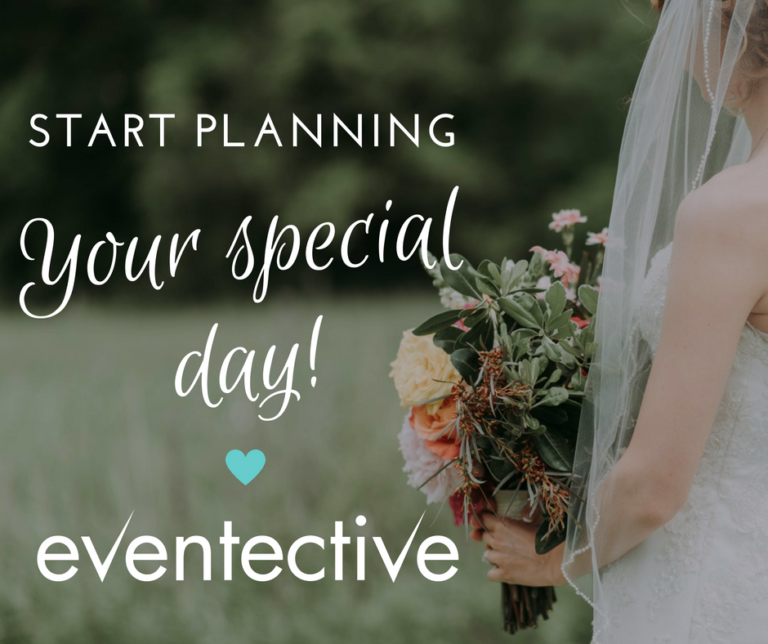 You’ve got all your basic steps covered—from freaking out and ugly-crying happy tears, to establishing a budget and tone for your special day. The final step is to plan your entire wedding! If that seems overwhelming, online shop first: Look for vendors, florists, entertainment, etc. online, and weed out the ones who are above your price range, or aren’t the right match. Then visit the remaining contestants in person. If you’re nervous about venue shopping, check out the first seven questions to ask your potential venue before booking—and most importantly, remember to have fun!